When you add an extension to your home, install new security devices or replace your weathered roof, your insurance policy may also need a makeover. A new TD Insurance poll suggests that the majority of Canadian homeowners don’t disclose home improvements their insurer, even though it could mean a reduction in your premium. It could also leave you underinsured or not insured at all if it invalidates your existing policy. The poll released this week suggested 6% of the 2,748 adults checked their policy to ensure their home was covered during the renovations and just 16% contacted their insurer to see if their existing policy needed to be revised. Nearly one-quarter of respondents weren’t aware that electrical upgrades could decrease their premiums while more than half didn’t know that installing granite countertops could have the opposite effect. If you’re spending a significant amount of money on anything that may impact the value of your home, it’s likely the insurer wants to know about it. So, no, you won’t have to disclose that you’re changing your wallpaper or replacing your old carpet. 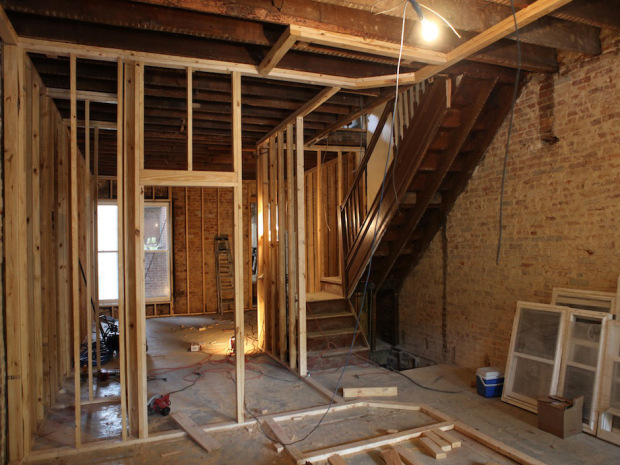 Since the likelihood that a claim will be made increases during the construction process, the pre-renovation policy often doesn’t insure some damages relating to it. These losses can include: basement flooding caused by the contractor breaking a water main, theft or vandalism to the property that took place while you weren’t living there (vacating the property for more than 30 days requires a policy update), or a broken glass window resulting from poorly operated machinery. Forty-one per cent of homeowners incorrectly believe that if a contractor is hurt on their property, they will not be liable. But that’s not true: you could be liable for their medical bills, lost wages or damages for pain and suffering. That’s why it’s important to ensure that the contractor provides documentation of their current insurance policy. “While speaking to your insurer should be on your pre-renovation to-do list, it’s never too late to make the call, assuming nothing’s been destroyed and you’re not trying to make a claim,” Mr. Minor said. Pete Karageorgos, manager of consumer and industry relations at the Insurance Bureau of Canada, agrees and says the sooner you disclose the improvements, the better. Doing so will help you get the right amount and type of coverage. Existing homeowners aren’t the only ones making home-related blunders: 60% of Canadian homeowners in another poll admitted they’ve made at least one mistake when they bought a home. According to the RBC Home Ownership Poll, purchasing a property that requires significant renovations (15%), not having a bigger down payment (14%) and skipping a home inspection (13%) are the top three mistakes. Younger homeowners were more likely than the average Canadian to list not having a bigger down payment and to not consider future family and space needs.